There is an old adage that “perceptions are reality.” I will go you one better and offer that perceptions are more important than reality since this is what people make decisions off of. People act off of perceptions either because they don’t know what the reality is or choose, consciously or sub-consciously, to not want to know. As an intelligence analyst, I have grown up and functioned in world where not knowing is not an option. As such, we employ a variety of tools and processes that enable us to assist those we work for in managing risk and making informed decisions. 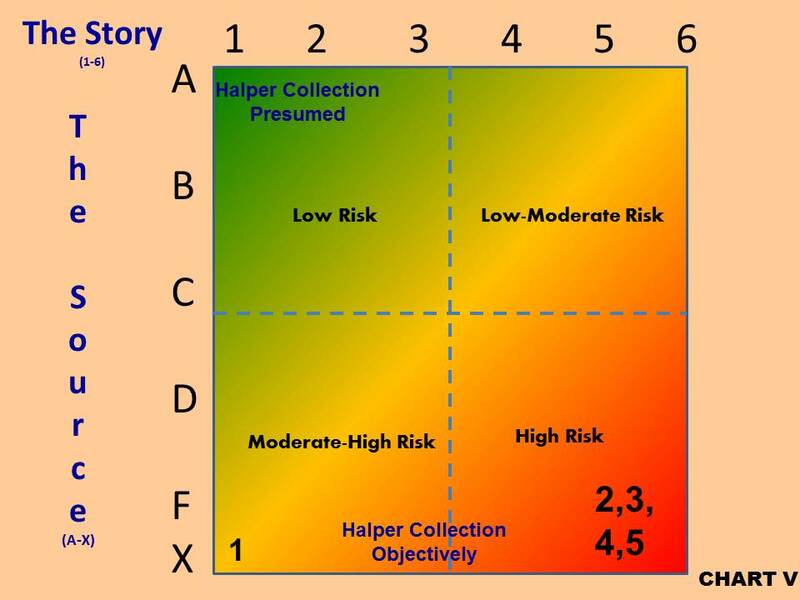 This article is about applying analytic tools and methodologies to seeing and understanding the nature of the risk involved with the purchase of certain items from the Barry Halper collection. It is also about the nature of the risk today for those that have retained those items. Whether you are evaluating information/intelligence or looking at a piece of memorabilia, certain facets and processes are equally applicable. My intent is to show you this by walking you through a series of five charts. 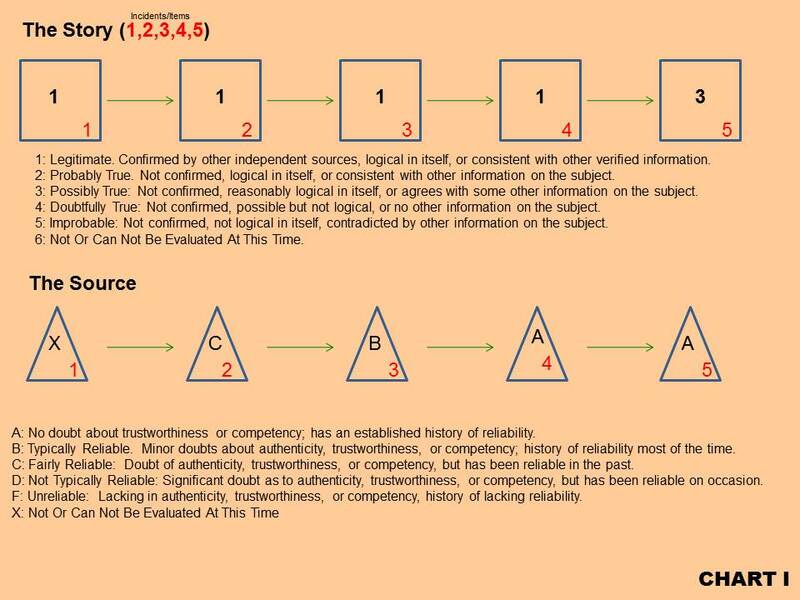 CHART I: What you see depicted here is a generic model for evaluating the reliability of information as it pertains to a source. Notice the order in which I presented these. The source has no credibility until AFTER the information/intelligence/story/uniform is evaluated on its own merits. It is only over time and through a series of positive evaluations that the credence of the source takes on any significance. In this model we see five separate instances of information/intelligence/story/uniform, if you will. Over time evaluations are performed; credibility is established; and an assessment of risk and reliability can be made. CHART II: This is nothing more than a graphic representation or plot of the data the analyst has gathered as it relates to our five notional reports/stories/uniforms. You will see that the chart is broken down and color-coded to help the decision maker see and assess both risk and reliability. 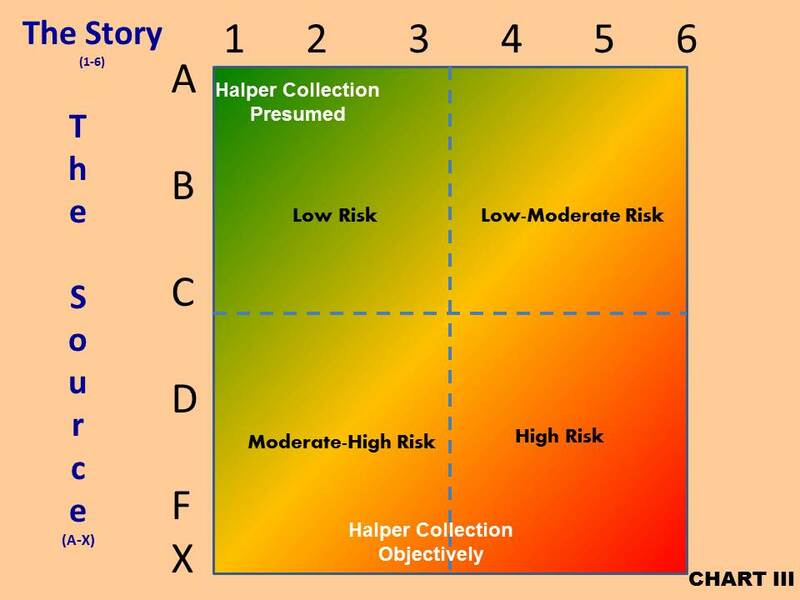 CHART III:At the time the Barry Halper collection came to auction, there was a perception that the offerings were of impeccable quality based on the source. Even without an objective evaluation of the stories behind the acquisition or a credible evaluation of the numerous artifacts and uniforms, the risk was presumed to be low to the prospective buyer. Objectively however, by placing the source first (Not evaluated at this time (X)) and recognizing that without evaluation and corroboration, at best we had stories and items that were “Possibly True: Not confirmed, reasonably logical in itself, or agrees with some other information on the subject,” (3). The hobby/ industry failed to see the actual risk. This is what Chart III depicts. In other words, the actual difference and significance between perception and reality. 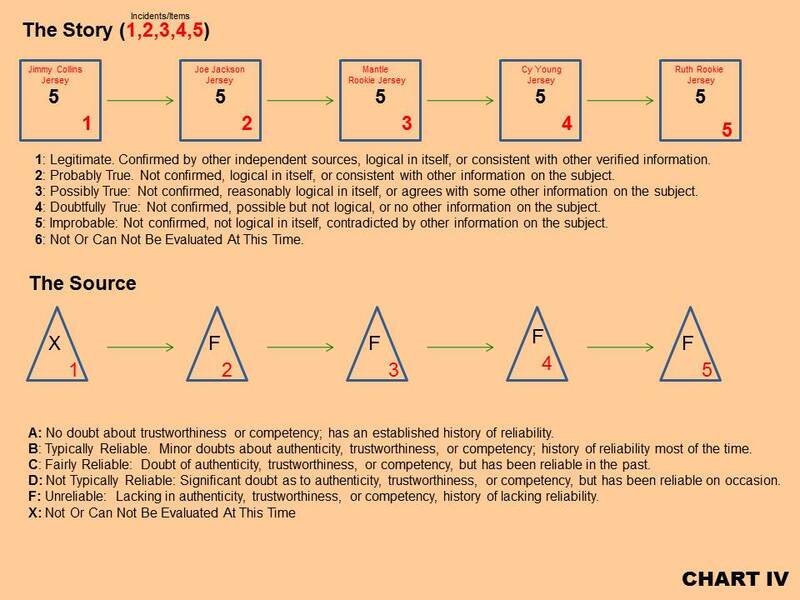 CHART IV: Chart IV depicts what happens to our perceptions and, to a larger degree, our sense of reality, when we evaluate a series of stories/uniforms and then apply what we know to evaluating the reliability of the source. 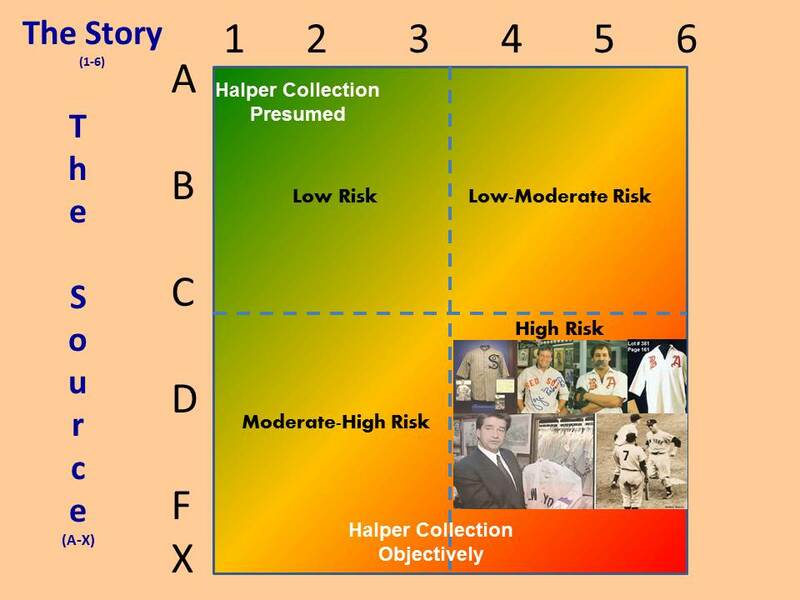 As you can see, (CHART V), the risk related to these items is much closer to how the Halper collection should have been viewed if looked at in an objective manner according to our analytical model. 1. A substandard physical evaluation. This article does not address the risks associated with the concept and premise of clear title. By this I am referring to items that may have been sold when the issue of clear title might be in dispute. In order to assess this, other analytic tools are probably of better value. That analytic effort would likely involve utilizing a series of tools known as event and association diagrams. This would involve taking an item or series of items and looking at times, transactions, and individuals associated with them in order to see if patterns begin to appear causing “clear title” to come into question…but all of that is another article for another day. For those that might be thinking “Halper had lots of great stuff and you’re cooking the books with these cherry picked examples,” I will openly acknowledge that the Halper collection contained more than its fair share problem free and spectacular items. This article is not so much about the nature of the holdings, but rather how they were held or viewed in the eyes of the collecting community at the time they were offered. A premium was placed on these items (fiscal and psychological) based on the source. My purpose today was to show why that perceived value may have not likely been warranted when juxtaposed with a reality that can be seen through the application of analytical tools. No story or story teller can make something into something that is not. Either invest the required amount of effort on the front end, or accept the risk involved with making decisions based solely on perceptions. That’s reality. For questions or comments on this article, please feel free to drop me a line at DaveGrob1@aol.com. I think this article is (Hold on while I check the graph) A1. It’s steak sauce, baby. It makes meat taste better. Collectors really could have benefited from this type of analysis back during the Halper sale in 1999. Interesting to see this situation rediuced to charts. Fascinating reasoning. Sounds perfectly logical. Great Work … Tremendous !!!! !